HAND PRINTS & PAW PRINTS! 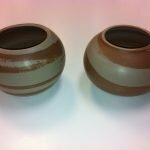 TCS’s Master Ceramist Melissa Thomson Interviewed! 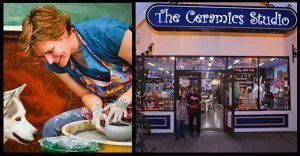 The Ceramics Studio voted Best of OC for Arts & Crafts 2018! Fun, Creative Activities for Kids & Adults! Melissa Thomson, the owner of The Ceramics Studio, in San Juan Capistrano, is impressively familiar with all types of clay bodies and their potentials, but relishes in experimenting endlessly with glazes and organic materials. Venture into the back room of the studio, and you’ll find a series of bags containing a strange array of nature’s best; sawdust, cow manure, seaweed from local beaches, and dirt samples collected on road trips from here to the State of Washington. Her most prized “specimen” is a jumbo-size mayonnaise jar full of ash from the eruption of Mount St. Helens. Most of these back-room materials are employed during the studio’s beach pit firings. 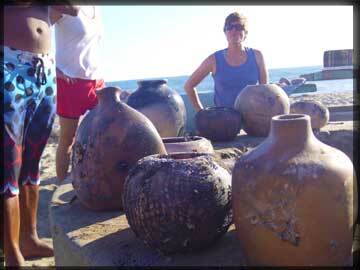 Students take their pre-fired pots to the local beach. Instruction is provided in the wrapping of ingredients around unglazed pots which are then carefully positioned in the pit fire. When the objects are shaken from the ashes the following morning and buffed, they reveal strikingly beautiful marks and colors! 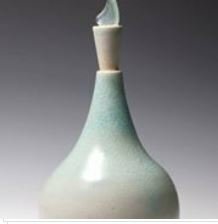 Melissa takes great joy in showing others the remarkable interactions between natural elements that result from shaping and firing. Children and animals are especially drawn to her quiet demeanor and she, in turn, draws joy and energy from their honesty, uninhibited curiosity and willingness to let their creativity run wild. 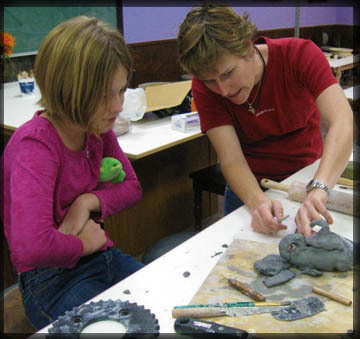 * Melissa L. Thomson has taught art for over twenty years in every venue from preschool thru the university level. 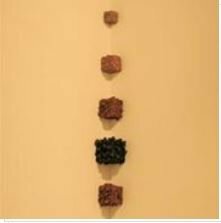 She earned her Masters in Fine Art in Ceramics from Cal State University, Northridge, and her Master of Arts from Pepperdine University. 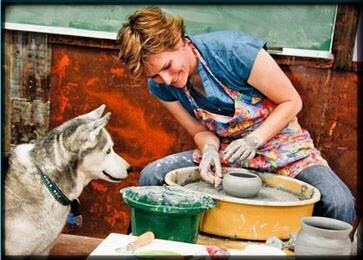 Each summer, she teaches the kids at Mission San Juan Capistrano’s Ceramics Camp, in addition to her own class offerings held at The Ceramics Studio. 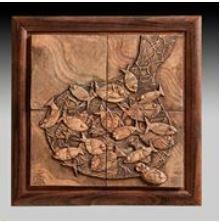 She is also the official ceramics instructor for the Dana Point Community Center. Look What People Are Saying! This review is long over due but better late than never! Brought the kids to take a spin on the wheel. They loved it. Brought them back to paint pre-fab ceramics. They loved that too.